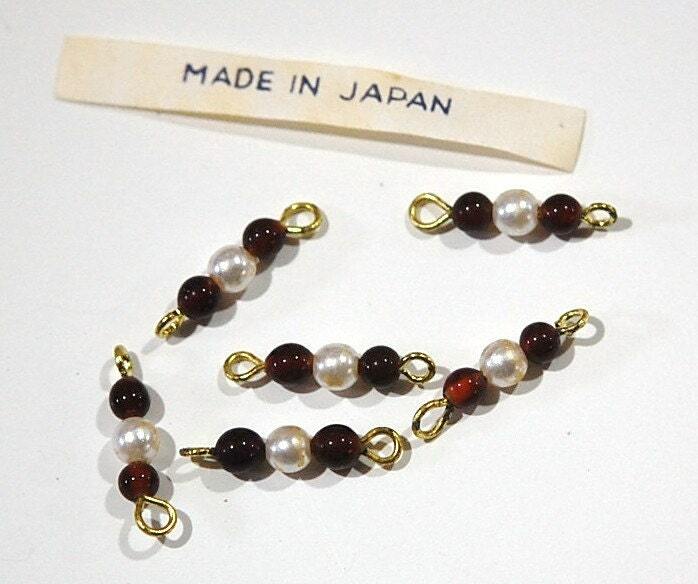 These are vintage beaded drops or connectors that were made in Japan. The topaz beads are glass and the pearls are acrylic. There is a loop at each end. 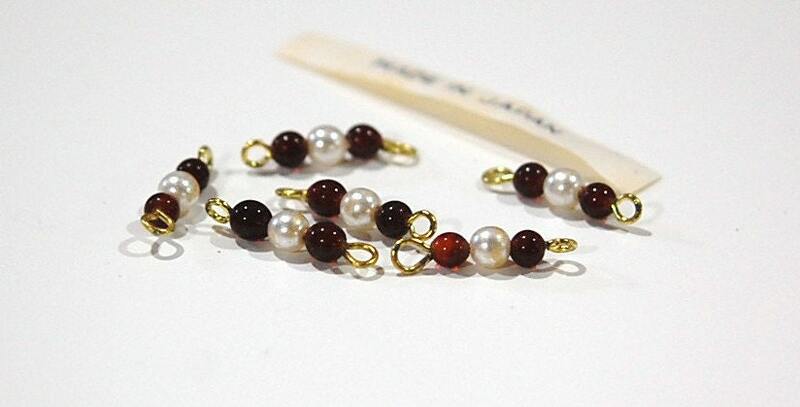 The topaz bead measures 3mm and the pearl bead measures 4mm. The entire piece is 18mm long. You will receive 8 pieces.